New Deployment Added! Rogue River "5,000 Miles of Wild™" - Soul River Inc.
New Deployment Added! 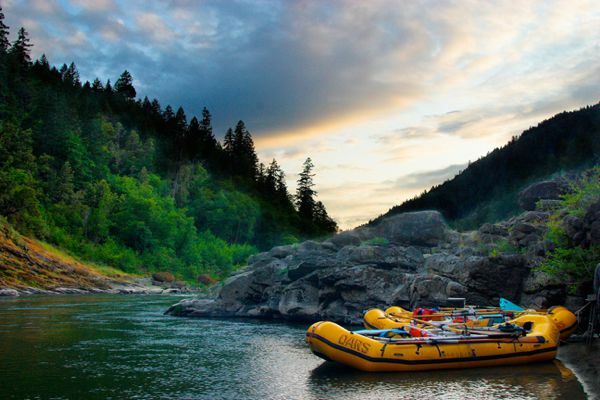 Rogue River "5,000 Miles of Wild™"
Join Soul River Inc. as we deploy into one of the nations iconic Oregon’s river. More than 85,000 dams have modified at least 600,000 miles or almost 20% of all rivers and riverside lands in the U.S. In contrast less than one percent of rivers nationwide are protected as Wild and Scenic Rivers free from dams, mining, oil and gas or other harmful development. Many rivers remain unprotected in the nation’s most iconic landscapes such as the Greater Yellowstone in Montana, the Rogue in Oregon, the wild rivers Wild Olympics and North Cascades in Washington, and the Gila in New Mexico. The wild rivers that flow through these areas represent one of the most valuable unprotected environments left in the country providing clean water, outstanding recreation and exceptional fish and fish and wildlife habitat. October 2, 2018 will mark the 50th Anniversary of the Wild and Scenic Rivers Act. The Act spawned the idea that we should balance the centuries of development of our rivers with a system of protected rivers. The 50th Anniversary presents a major opportunity to celebrate this powerful idea and to permanently protect our nation’s most significant rivers and the lands along them forever creating a legacy worthy of the Wild and Scenic Rivers System. Conservation groups and outdoor companies including American Rivers, American Whitewater, O.A.R.S., NRS and Yeti have launched the 5,000 Miles of Wild campaign to organize a groundswell of public support to protect Wild and Scenic Rivers and defend the public lands they flow through. Our work to protect the exceptional wild Rogue River watershed is a cornerstone of this broader campaign.